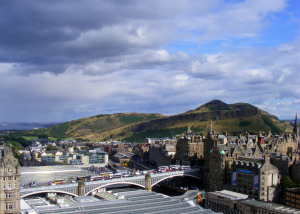 We’re organising a range of trips for delegates to choose from that show off our magnificent city and its surroundings! All trips will take place on the third day of the conference (13th June, Saturday) and are entirely optional. You will be able to pick your trip when you register (ONE trip per person). Places for trips are limited but if you have trouble selecting one, bear in mind that all the proposed destinations (except Rossyln Chapel) are easily accessible (and free!) 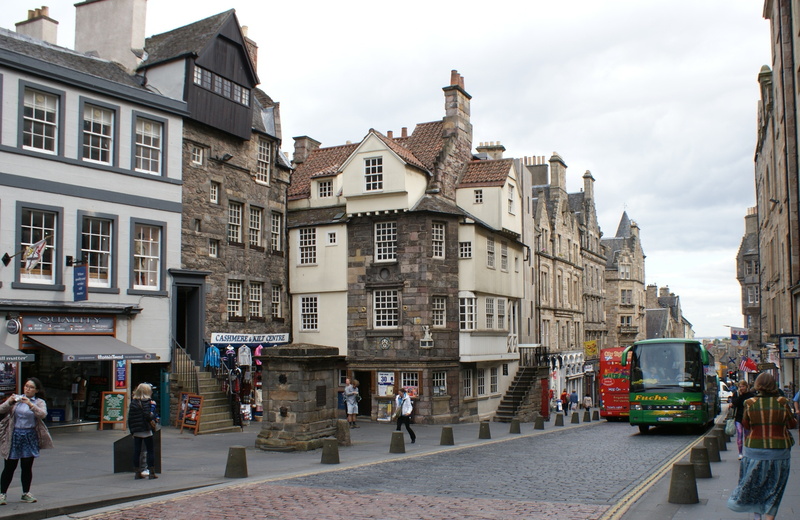 on other times/days as well, in case you want to make your own plans for your free time in Edinburgh. 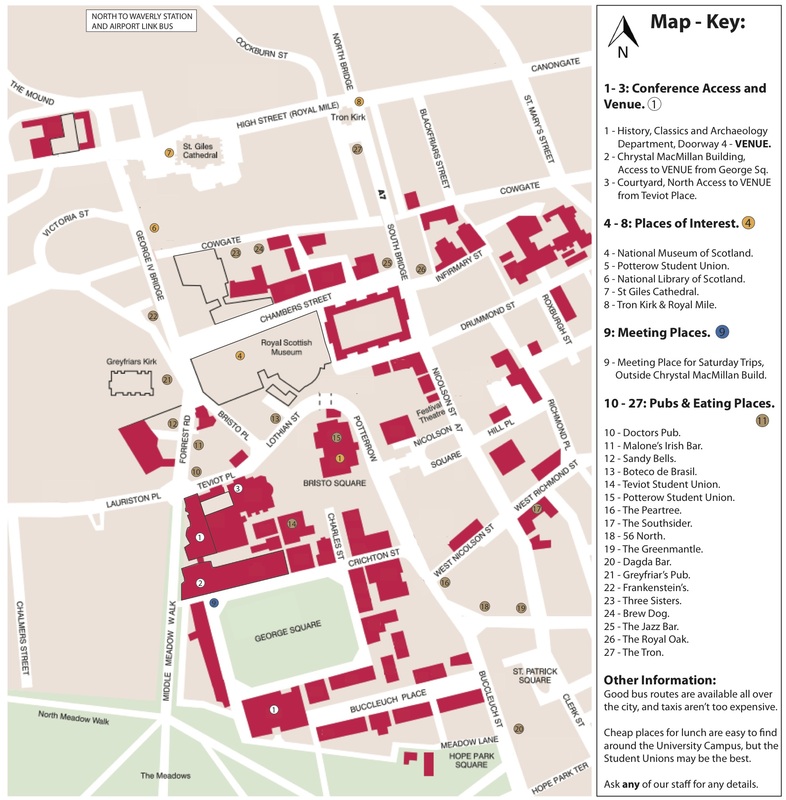 The meeting point for all the trips is in front of Chrystal MacMillan Building (see map point 9). 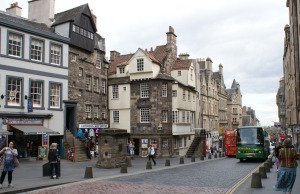 Discover the Museum of Edinburgh, a gorgeous historic building on the iconic Royal Mile, packed with artefacts documenting the development of the city from its earliest incarnation to the present day. 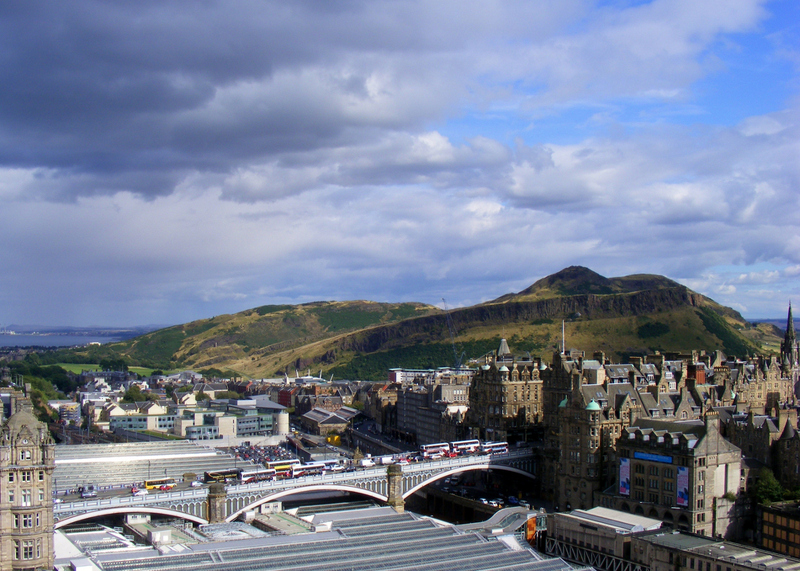 A guided tour of Scotland’s premier collection of prehistoric and historic archaeology. The NMS also has fascinating exhibits on the natural world, world cultures, art and design, science and technology and Scottish history. 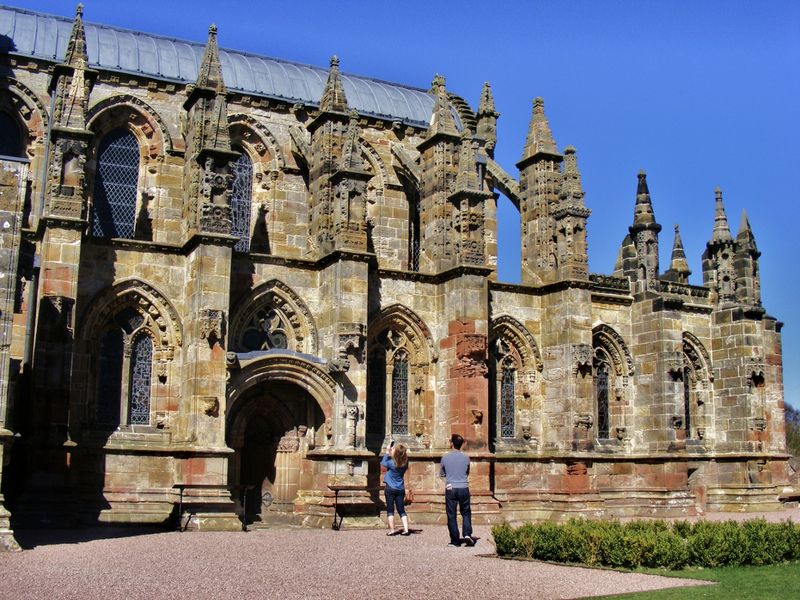 A guided tour of the famous 15th-century chapel located at the village of Roslin, just outside Edinburgh. 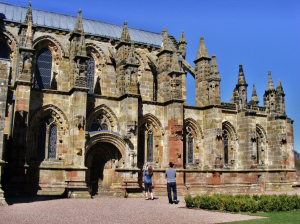 In addition to the intricate stone carvings and rich history, the chapel has also featured in speculative theories concerning connections with Freemasonry, the Knights Templar and the Holy Grail. Time: Coach to Rosslyn leaves from Edinburgh central campus at around 14:15 but please arrive at the meeting point by 14:00. We should be back in Edinburgh around 17:30. 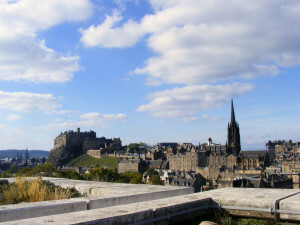 Explore Holyrood Park, a unique historic landscape in the heart of the city, whose dramatic hills give Edinburgh part of its distinctive skyline. The park contains a wealth of history and archaeology spanning thousands of years plus the views from the iconic Arthur’s Seat are unforgettable. Lunch not included (but do bring your own since there are no facilities in the Park). Waterproof clothing and sensible footwear required.